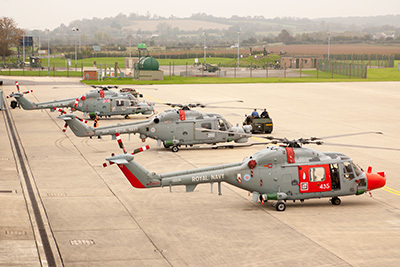 RNAS Yeovilton (aka HMS Heron) is situated in Somerset - not far from the A303/A37 junction and about 4 miles North of Yeovil. 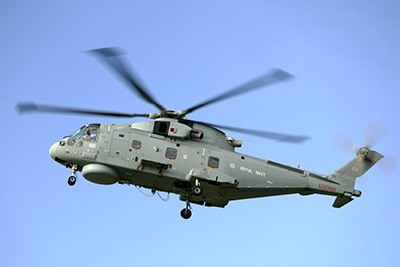 It is the largest Naval Air Station in the UK and home to a varied fleet primarily made up of Wildcats, Lynx, Merlins and Hawks. Opened in 1940 and expanded after the war for jet operations, Yeovilton's future has come up for debate on a number of occasions. 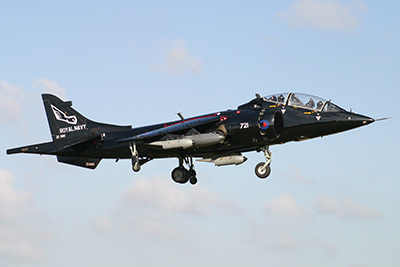 With the retirement of the Sea Harrier, it has become a primarily rotary wing station, excepting the few resident Hawks and the Royal Navy Historic Flight. Lynx of 815 NAS; Wildcats of 825 and 847 NAS; Merlins of 845 and 846 NAS; Hawks of the Naval Flying Standards Flight (Fixed Wing); Tutors of 727 NAS... and if you're really lucky, the various aircraft of the Royal Navy Historic Flight (Swordfish, Sea Fury, Sea Vixen - not all currently airworthy at the time of writing). 815 NAS encompasses various ships' flights so it's pot luck as to which squadrons' aircraft you will see on any given date. Regular visitors are FRADU Hawks (sometimes called Seahawks) and FRA Falcon 20s. Merlins from Culdrose also pop by as do occasional foreign visitors - recent years having seen Polish, French and American aircraft popping by. Activity is mostly during office hours on weekdays though there is occasional weekend activity particularly when ships are returning to the UK. Our first viewing position is within the Fleet Air Arm Museum. This is an excellent museum with a varied range of exhibits, imaginatively displayed. As you walk into the WWII/Korea hall, there is a viewing gallery right at the end on the left (A), from where you can view the line up of Lynx or Wildcat helicopters outside, and perhaps see them taking off or landing from the nearby landing spots. Photography can be tricky because of reflections on the windows but the Wildcats aren't particularly far away so even a small lens will do you here. Serials can be difficult to read off any but the first two or three Wildcats in the line-up. Second stop (or first if you don't want to pay to get into the museum) is the museum car park (B) and surrounding area. From here you have a decent view of the large ramp North-East of the control tower. Normally populated by helicopters, you will sometimes see Hawks being towed out of the hangars too, and visiting aircraft occasionally park up on this ramp as well. The annual airshow uses this ramp and the disused North/South runway for the static display. Aircraft operating from the main runway are generally too distant for photography, but you should be able to read off serials on many. Anything parked on the ramp south of runway 27 is below the level of the runway so only the tails of the aircraft can be made out - and tail markings are very rarely enough to identify a specific airframe. 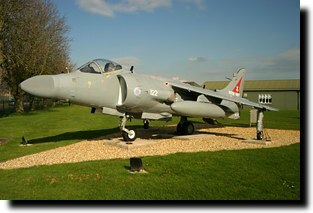 Just across the road to the North is Cobham Hall, the FAA Museum's storage facility. Sometimes you may be able to just about see the top of any airframes temporarily left outside but there is no public access except for pre-arranged tours. Leaving the car park, turn left and drive along the road. 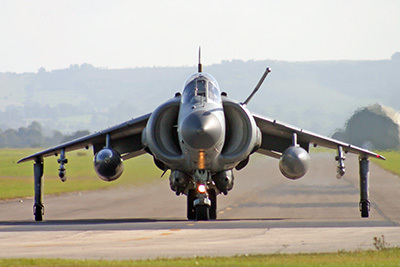 The main entrance is on your left, and has a Sea Harrier FA.2 gate guard - ask for permission to take photos at the guardroom (normally no problem at all). Continue on the road until you have left the station behind. There is a layby on the left not long after the last entrance to the station, park here and get your hiking boots on. Our next stop, point C is on the edge of a field near the perimeter fence - I'm told the farmer doesn't mind as long as you obey the usual rules - leave no rubbish, harm no crops, worry no sheep! From here you have a good view of helicopters parked on the ramp West of the control tower, and can also get a good look at any helos parked up along the grass here - primary time for this being the annual airshow, when the Commando helicopter line is strung out along here. This field is used for car parking during the show. Not much cop for photography because of the high fence and sun in your face for much of the day, but helicopters often approach from North-West of this position and, while rather high, they'll be nicely lit by the sun. Back to the car and continue along the road, taking the first left (signposted Yeovilton). As you go down this road you'll soon see the runway. Park up on the grass verge on the left before the double yellow lines appear (D). From here you have a good elevated view of the runway, but the sun is in your face for the first half of the day. Departures from runway 27 will be too high for decent photos, and it's not ideal for anything landing on 09 either, because the trees over the road block your view of the approach and the sun is in your face for much of the day - you can only really get rear-end shots, and only later in the day. However, it may be the only place you can really park round here! Continuing on foot, we have point E by the approach lights for that over-the-head experience, which was an impressively noisy experience when we still had the Sea Harriers but somewhat less noisy for Hawks! Walk a bit further on to point F, not far from the crash gate and you have a far superior position for both photography and spotting. Side-on views of aircraft landing on 09 are simply perfect, you're nice and close (easily within 300 mm range for jets), the fence is a low wooden affair (no ladder necessary) and the sun is behind you or to the side except early in the morning. From here you can easily wander back up the road a bit to get 3/4 shots of aircraft on approach (though the trees block your view of them until the last minute), or further down towards the crash gate to get head-on taxiing shots through the chainlink fence (easier in the afternoon than the morning though). Helos approaching from the North-West can sometimes come within range of a good lens here - you really need 500mm or above for a good chance at a worthwhile photo though. You'll notice opposite the crash gate on the other side of the road there is another crash gate leading to a bridge over the River Yeo - don't park here of course, but there is an entrance way immediately to the right of it where people often park with no apparent objections. A bit of juggling of cars may be needed if its busy, but there is room for 5 cars or so if everybody cooperates. Back to your car for the next spot. Drive down the road towards Yeovilton village - take it easy, the road narrows considerably - and take a left turn (signposted for the church). This is worth a visit - park up the lane between points G and H, not outside the church itself. As well as the graves outside the church near the road, there is a dedicated naval cemetery at the rear of the church and a memorial beyond that. Returning to spotting - having parked up down that lane you may as well leave the car where it is. Point G is as near as you can get to the end of runway 04. I've never seen jets use this runway, but Lynx helicopters often approach down it (regardless of wind), proceeding towards the ramp outside the museum, and lighter visitors like Grobs may use it too, along with the RNHF prop-jobs. Looking across the runway at this point you can also see the fire dump, with (at the time of writing) a trio of knackered Harriers clearly visible. Too far for photos though (unless you have a 600mm lens handy and don't mind parts of the aircraft being obscured by signs and bushes). Hawks and visitors sometimes taxi down this way if taking off from 09. The next point you may as well walk to, it's just at the North end of this lane (H). While the chainlink fence here is just high enough to be a nuisance, there are raised banks either side that help a little at getting a view over the fence (the middle of it at least - the fence rises up with the banks at either side). However for a clear view a stepladder is necessary. Aircraft landing on 27 or taking off from 09 will taxi past you here only a short distance away and are nicely lit by the sun through much of the day. Aircraft departing in either direction are airborne by this point, but still quite low so photography of aircraft taking off can be very good here, as long as you don't mind the buildings in the background. 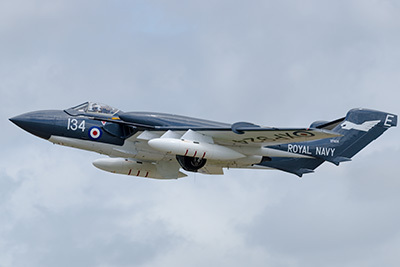 The remainder of the viewing points at Yeovilton involve a bit of walking so if you're particularly lazy or just satisfied with what you've seen so far you may wish to skip the rest of this guide. Back to the car, and drive back towards the museum. Keep going past it this time, and take the first right. Not far down this road is your best spot for taking photos of the Lynx and other helos in flight, which usually depart in this direction, curving round to the North West. However you'll have a job finding somewhere to park. Continuing on, take the first right and go down the lane past the green house and keep going until you get to the dilapidated farmhouse. The yard here (J) seems to be okay to park in - at least I've not had any objections from anybody the few times I've been here. From here it's a short walk across another field to get near the end of runway 27 (K). Jets get even lower at this end than at the other so don't stand directly under the approach. The sheep that are often to be found in this field don't seem bothered by either aircraft or spotters and will simply get out of your way. As you have a whole field to walk around in, photography can be as good as you make it regardless of time of day. This is your only real spot for viewing any use of the dummy deck just South of the runway 27 threshold (though with the SHARs retired, will it ever see use again?). Returning to the car, go back up the lane and turn right towards Bridgehampton. Take a right again and just before the road swings to the left a public bridle path begins. Find somewhere to park and get hiking! Point L is about as near as you can get to the approach on this side of the river. You could stay with the car but it's not much cop for photography because of the height of incoming aircraft at this point. You can walk across a footbridge into the field towards point K from here too. Point M looks to be your best bet for viewing anything parked up on the ramp outside the big hangars here and finally point N may offer a (distant) view of the fire dump. That's your lot for Yeovilton. General attitude towards spotters here is good, in common with the the other major naval air station (RNAS Culdrose/HMS Seahawk). Local farmers seem okay with people walking in their fields as long as their sheep aren't bothered by dogs etc. 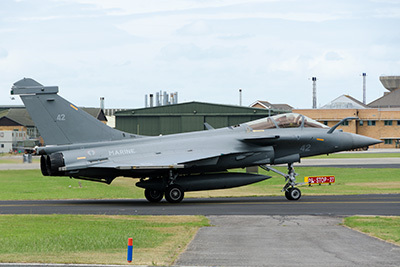 During the annual airshow, access is severely restricted, with most points from D onwards within a restricted zone for road access, and the area around point K also restricted for even pedestrian access. Petrol, cashpoint and shops available in nearby Ilchester (inside the Texaco), plenty of shops etc. in Yeovil. Nearest toilets are the Texaco in Ilchester or the FAA Museum. 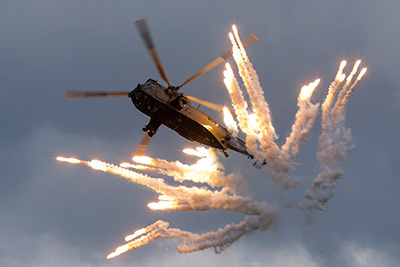 Not far away is the town of Yeovil, with the Westlands plant and airfield offering opportunities to view more Wildcats, Apaches and Merlins (until it closes in 2017!). HMS Heron also controls a satellite airfield - RNAS Merryfield, which is located further West along the A303, about 3 miles North-North-West of Ilminster (just North-West of the small village of Ilton). 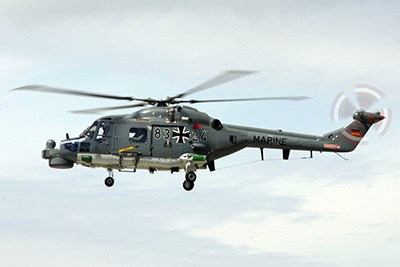 Operations here are restricted to sporadic use by helicopter training, and you'll see far more going on at Yeovilton.